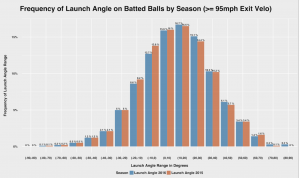 Can More MLB Hitters Get Off the Ground? In his spartan hitting facility in a San Fernando Valley industrial park near Los Angeles, private hitting instructor Doug Latta said something of a hitting “think tank” developed. There in a windowless, warehouse-like structure that encased two batting cages and a gym, Latta, a former high-school coach — along with other hitting instructors from the private to amateur and professional ranks — gathered on the Astro-turf carpet on fold-out chairs to discuss their craft. Latta kept about 30 chairs on hand for larger crowds. Don Slaught, a former major leaguer turned instructor, was a frequent visitor and in one meeting debuted his swing analysis computer system, Right View Pro. Greg Walker, who had served as a hitting coach with the White Sox and Braves, was another regular contributor. During one meeting, he told a story about how a new player had asked him a question. His response: “I don’t know, let’s go to the cage and find out.” That story resonated with Latta. He saw it was not about knowing all and having an answer for everything. Rather, coaching was about searching for an answer that works for a hitter. In conversation with FanGraphs last week, Latta said there was “flow” during the talks. The meetings exposed what Latta describes as a “big hole” in how hitting is taught at all levels of the game. Those conversations, combined with thousands of hours of working with hitters and poring over video, led Latta to a hitting philosophy. In simplistic terms, the philosophy is this: the optimum swing plane is an uppercut, which is often at odds with much of conventional wisdom. The principles are basic: stay square, stay balanced, stay relaxed, and get the ball in the air. The philosophy helped two of Latta’s clients, Justin Turner and Marlon Byrd – for Byrd it was between PED suspensions – reach new levels of performance. Others, like J.D. Martinez and Josh Donaldson have found success, through a similar philosophy – based largely on getting balls in the air – by working with private instructors. Donaldson credited so much of his success to his swing change that he chose his private instructor – Bobby Tewksbary – to pitch to him in the 2015 Home Run Derby. The 2013 Oakland A’s won 96 games in part via a fly-ball approach, posting the top ratio on record since GB/FB metrics have been tracked. A fly-ball swing plane is especially effective against two-seam, sinking fastballs, as noted in The Book: Playing the Percentages in Baseball. Despite these successes, Latta’s philosophy, and those similar to it, haven’t been widely adopted in professional baseball. Despite Dr. Alan Nathan’s research on the optimum swing plane, despite technological advancements — such as the two years’ worth of of Statcast data quantifying exit velocity and launch angles — batters haven’t changed their batted-ball profiles as a group. While there are different optimum swing paths for different types of hitters, we know more offense is generated through fly balls than ground balls. In 2016, there were 3,079 doubles, 463 triples and 5,422 home runs via fly balls. When elevating the ball, batters hit .241 with a .715 slugging mark and a wRC+ of 139. In 2016, there were 988 doubles, 47 triples and zero home runs (as you might expect) via ground balls. Hitters batted .238 and slugged .258 on ground balls with a wRC+ of 27. The National League’s MVP recorded a 0.67 GB/FB ratio last season, the fourth-best fly-ball ratio among qualified batters. I asked Latta if he could change most hitters’ fly-ball tendencies. In the same facility where the “think tank” of hitting instructors gathered, in the same space where he has hosted curious major-league executives and hitting coordinators, he revamped the swings of Byrd and Turner. Turner met Byrd when the former was playing as a reserve for the Mets in 2013. Byrd had spent the previous offseason rebuilding his swing with Latta, which I reported back in 2013. Byrd had serendipitously met Latta while looking for a place to hit near his offseason home after the 2012 season. After a winter of regular work with Latta, Byrd hit a then career-best 24 home runs with a career-best 132 wRC+. Byrd went from an extreme ground-ball hitter earlier in his career, averaging nearly two ground balls to every fly ball from 2010 to -12, to posting a ratios of 1.06 in 2013, 0.92 in 2014, 1.17 in 2015 and 0.71 in 2016 in his brief tenure with the Indians before he was hit with a PED suspension. “He was fast,” Latta said of a younger Byrd. “All his life, told to hit ball on the ground.” While Byrd’s improvement is viewed with suspicion due to his PED ties, he did benefit from changes to his swing path. So in the winter of 2013-14, Turner, who lives in Southern California, began making a regular commute to Latta’s facility in search of a better swing. Since Turner broke into the majors in 2009, through the 2013 season, he’d produced a .260/.323/.361 slash line and 92 OPS+. His 162-game average for home runs? Five. The following season, Turner produced a .340/.404/.493 slash line with the Dodgers in 322 plate appearances, producing a career-best 158 wRC+. Was it a fluke? Hardly. In 2015, Turner hit a career-best 16 home runs and produced a .294/.370/.491 slash line and 142 wRC+. Last season, Turner continued to hit, posting a career-best 27 home runs and a 124 wRC+. While with the Orioles and Mets early in his career, Tuner’s GB/FB ratio hovered between 2.00 and 1.45 per season. In 2015, it fell to an an even 1.0 mark; last season, to 0.9. The relationship between fly balls and power is strong. Consider the batted-ball tendencies of J.D. Martinez as an Astro in 2012 and 2013. Martinez posted GB/FB ratios of 1.64 and 1.30 in those season, respectively. In his breakout 2014 season with the Tigers, after changing his swing plane, Martinez posted a 1.1 ratio, then a 0.79 rate in 2015, and 1.17 last season. After sub-100 wRC+ marks in 2012 and 2013, Martinez has posted marks of 154, 137 and 142 in three consecutive seasons. Not all major-league hitters, or organizations, adhere or adopt to this philosophy of hitting down on the ball, as Eno Sarris reported back in 2015, but Latta says far too many amateur and professional players he encounters – he works with 24 professional hitters – are taught to swing down. So why aren’t we seeing more fly balls? Why aren’t we seeing more adopt the philosophies shared by Latta? One of his clients, a Double-A player, called him fighting back emotion because of the pressure being applied from his minor-league coaches to use a conventional approach versus an uppercut swing plane. Latta notes young players are at “the mercy” of a coaching staff. Latta says there are errant organizational hitting philosophies. 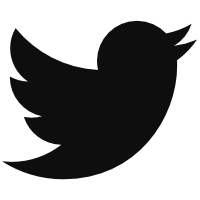 “Even executives – not even in the coaching ranks – have opinions,” Latta remarked. “Do you know how dangerous that is?” Latta said as an outsider, as a private instructor, he has the advantage of not having to fear for his job if he deviates from an organizational philosophy. Moreover, the term “uppercut” carries a negative connotation with young players who have been taught to hit with a level swing, to chop down at the pitch, to get from Point A to Point B as quickly as possible. Swings are also very personal and prized. Part of the issue is hitters have not had the same tools to quantify their swings and skills like pitchers. Pitchers have had PITCHf/x since 2008. 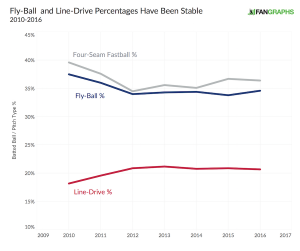 While HITf/x provided some insights, the industry has only two years of more comprehensive Statcast data, and perhaps some small advancements were made in the second year of the Statcast Era. Latta said it’s incumbent on players to be curious and intellectual about the craft. One of my favorite stories from last spring was talking to then Pirates’ non-roster invitee Cole Figueroa – who made the team – about his beliefs in swing philosophy. Figueroa is now working in the Tampa Bay front office. He recounted a story about how when he had been in a different major-league camp earlier in his career. He’d heard a prominent player and the club’s hitting coach discussing how to create backspin through a chopping-wood approach. Figueroa approached him later in the clubhouse, and the roster hopeful explained to the positional-player regular how he had it all wrong. So why aren’t more hitters aware of this or listening to those who are? Why were more balls not being hit into the air in 2016? We hoped you liked reading Can More MLB Hitters Get Off the Ground? by Travis Sawchik! I (finally) made an account just to be able to comment how much I loved this article, Travis. Loving all your work so far. An interesting possible effect of this, though, is how this swing path would be used by players with a lot less raw power than Donaldson, Turner, Martinez, etc. You couldn’t really expect Billy Hamilton to adopt an uppercut and start slugging. But maybe this sort of thinking is one of the causes of home run rates climbing so drastically in MLB – smoother and more efficient mechanics leading to home runs instead of just pure strength. Even though this philosophy isn’t being preached by most coaches (yet another drawback of relying too much on stubborn old people who don’t want to accept change/hard numbers), maybe more players than we think are seeing the results and trying it out. Enlightening piece!